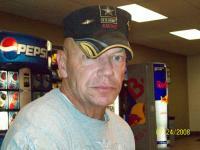 Retire from USMC/ was with 1st/BN 509th ABCT from June 1977 to May 1980. Stationed with rigger plt at Boscomontico in Verona, Italy, moved to Vicenza, Caserma Ederly with Combat support company. I was the guy who owned the black 914 porshe, also played on the 509th Geromino's tackle football team as Defensiveback. Then played on the Italian football team, Milano Rhino's as a player/coach. Hung around in the weight room with Larry Zimmerman, Dusty Kinny, Michael (Pappy) Meadows. Also was ski instructor for the BN at cold weather training at Asiago/ Enigo. Left BN May of 1980, back state side. Hello Dearest, My name is joy, i am beautiful, loving, caring, and romantic young girl, i saw your profile today at scholastic.com and i took interest on it,i believe we can click together and make something good out of it, i will like you to contact me through my private mail address here (joycomplexion@yahoo.com) this will enable me to explain myself to you and as well send you my pictures for you to know whom i am,i will be waiting for your sweet reply soonest, once again please don't send it to the website contact me direct to my email (joycomplexion@yahoo.com) Thanks for your understanding, Yours sincerely Miss joy.